Are you a designer or an early adapter of new technologies? Then join our Prototype Party, that will take place on Friday, 29 March 2019 at 19:30 at ACEin (Kefallinias 46, 2nd Floor! Give your feedback to teams with prototypes at the testing phase and help shape tomorrow’s products. Through the feedback of the crowd the so called Prototypers get impulses for further development and realization of their innovative products. 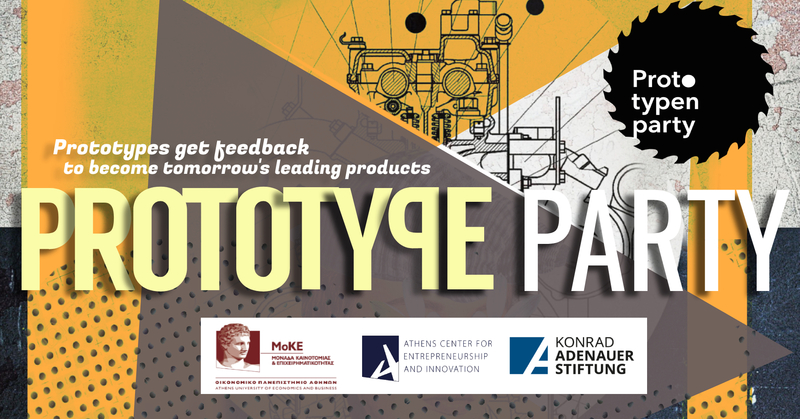 The event will be moderated in English by Dörte Roloff, the creator of the PrototypenParty in Germany, and is organized by the Innovation and Entrepreneurship Unit of AUEB, the Athens Center for Entrepreneurship and Innovation (ACEin), and the Konrad-Adenauer-Stiftung Greece and Cyprus Foundation . For more information on the event, please contact us at 210 8203803, 210 8203827 or mke@aueb.gr, acein@aueb.gr.